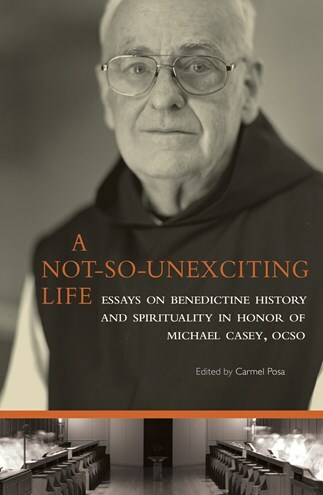 This volume, written by eighteen monks, nuns, and lay scholars from seven countries and four continents, aims to recognize the contribution that Michael Casey has made to Cistercian and Benedictine life over the past forty years. Acclaimed as one of the most significant writers in the Benedictine and Cistercian tradition, Casey has published over one hundred articles and reviews in various journals, written more than eighteen books, and edited many more books and journals. He is a world-renowned retreat master, lecturer, and formator. Carmel Posa, SGS, has been a Sister of the Good Samaritan of the Order of St. Benedict since 1989. She earned her master's degree from Saint John's University, Collegeville, Minnesota, in 1996 and was awarded a doctorate from the Melbourne College of Divinity in 2009. She has been a senior lecturer in theology at Notre Dame University, Australia, and is a founding dean of the New Norcia Institute for Benedictine Studies and co-editor of Tjurunga: An Australasian Benedictine Review. "This book is a goldmine. A worthy tribute to one who certainly qualifies as one of the greatest monastic writers of our time." "In this current era, we have to step up with our best. This book is just that: Cistercian Publications found writers writing their best to celebrate the monk who is our best writer of our lifetime." "Through the years, monastic men and women have been treated to the writings of Father Michael Casey. With an intellectual undercurrent, he has been able to communicate to us some of the important spiritual and pastoral elements of life under the Rule of Saint Benedict in a manner that is consistently inviting, useful, and inspiring. That same spirit pervades the series of articles that rightly honor his contribution to monastic literature these recent decades." "A very enriching, broadening, and stimulating immersion into current monastic studies." "This is a marvelous and creative collection of essays designed to honor Michael Casey for his pivotal contributions to monastic thinking in our time. The essays help us to know Michael's thought better in two different ways. Some engage him directly and dialogue with him. Others take their inspiration from themes that he himself has opened up and explored. So many of us are grateful for Michael, and I am grateful for this book which does him honor." "For those who are unfamiliar with the influence of the Benedictines and Cistercians on the universal Church, the volume's seventeen chapters will offer accessible, but scholarly, touch points for Benedictine history and its importance for the life of the Church today." "This volume is a ringing testimony to the return to the sources of Benedictine monasticism stimulated by the renewal of Vatican II, and also to the remarkable contribution to that effort by Australia, which provides over half the authors for this collection. No one will question the expression of gratitude to Michael Casey, who has been at the heart of this movement both worldwide and locally. With these essays readers will be able to catch up on research of recent years and also to share the excitement of new investigations. The book is clear evidence that the renewal in Benedictine studies is far from over."